Our Story — Stamp Yo Face! Stamp Yo Face! started as a part-time experiment in collaboration. A partnership between two friends (Hannah & Kevin) to share talents and "see what happens." A month after launching in early 2014 we received an unpredictable amount of online exposure that forced us to both focus on Stamp Yo Face! full-time. Three years later, we're still experimenting and learning new skills to "see what happens, next." Grateful for every new face we've met along the way. Photos are great, but a hand-drawn illustrated portrait of yourself or a loved one is not something you see everyday. 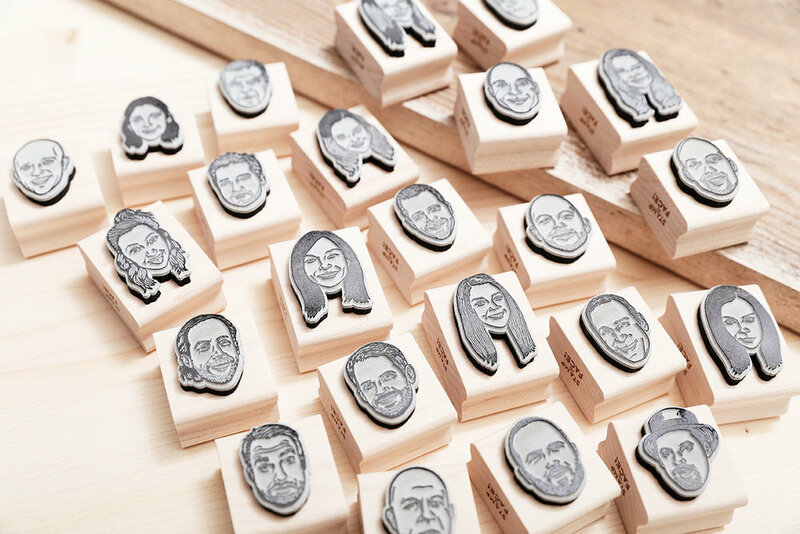 Our Custom Portrait Stamps are truly an unforgettable gift for anyone. Every stamp of ours is produced in-house by our very own laser engraver "Robo-Hunk 3000". From day one we set our standards high to maintain consistency & precision in every piece. The devil's in the details and that's why each of our stamps are assembled and finished by hand. From scrubbing the rubber, to cutting and fine sanding the wood, our stamps stand out! Let's get real, if it wasn't for Hannah there would be no Stamp Yo Face! She's got the skills: you see it, she drew it. She's a certifiable pencil maestro turning faces into little works of art. 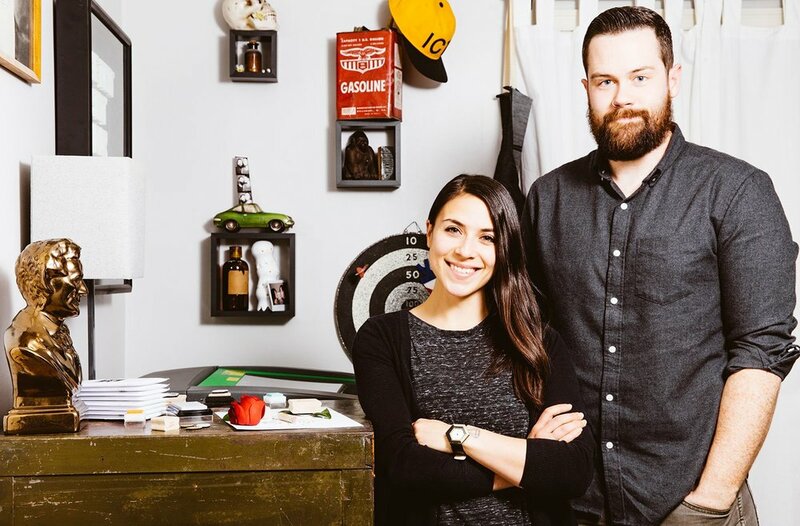 There's even a Bachelor of Fine Arts degree in Studio Art on her wall to prove it! It takes two to tango and that's where Kevin comes in. Taking Hannah's sketches and turning them into tangible pieces of art. File prep, laser wrangling, production, fulfillment, fine tuning the website, taking photos, social media... if it's digital it's Kevin's duty.